Provide variety in concept review. Bottle Bob is compatible with Orton Gillingham based programs such as MTA and Alphabetic Phonics. 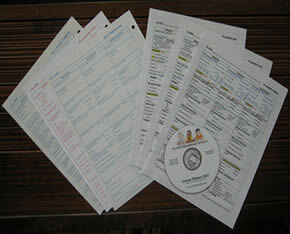 In addition to paper copies, Weekly Planners are now available on CD or Flash Drive. 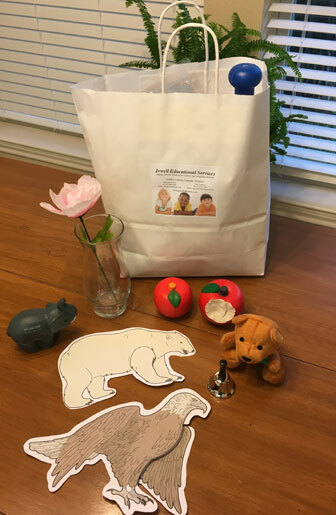 Designed for instructors of Orton Gillingham Based Programs by a Certified Academic Language Therapist, these lesson planning forms were created to make lesson planning quick and easy. 5-Minute mini-activities for the introduction of 27 different comprehension skills using hands-on actions and common objects. Includes references for follow-up practices. An ideal way to increase your students understanding and retention of comprehension skills. Includes 27 different comprehension terms with definitions on the back. EX. Attributes: An attribute is a quality or characteristic. Color, size, shape, feel, sound or what things are made of are attributes. Classify: To classify means to put things in a group or category. Things in a category must have at least one shared attribute or trait. 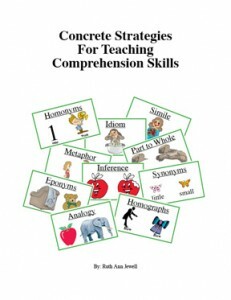 Items to accompany the Comprehension lessons in the Concrete Strategies for Teaching Comprehension book. Apples to accompany the Inference lesson in the Concrete Strategies for Teaching Comprehension book. 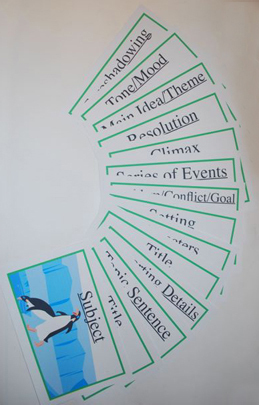 Designed to support the understanding and retention of the parts of speech, these lessons aid in the development of a student’s knowledge and ability to write grammatically correct sentences. Beginning with simple and progressing to more complex. 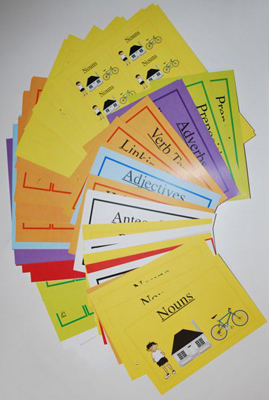 Designed to support the understanding and retention of the parts of speech, these cards aid in the development of a student’s knowledge and ability to write grammatically correct sentences. Beginning with simple and progressing to more complex, the students use small replicas of the concept review cards to build structurally sound sentences. 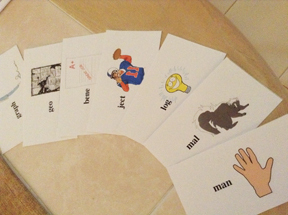 These cards are useful for instruction in teaching the elements found in narrative and expository text. They can be used for the introduction of the element and continued reinforcement and review to help make the concept both concrete and applicable to the reading process. Common Core recommends teaching morphology for vocabulary development in grades kindergarten through all grades. 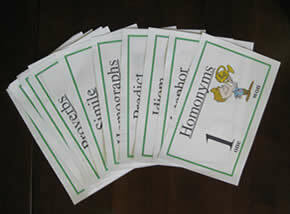 Help your students retain and understand Latin and Greek roots with these visual flash cards. These cards show the Greek or Latin root with picture on the front and the definition, country of origin and key word on the back. 30 of the most common roots have been selected. Game #1 Over 23 different games that practice reading, spelling and syllable division. Simply open the CD or flash drive, print out the games and attach the pockets to a file folder.Game #2 Over 20 different games that practice reading, spelling and irregular words. Simply open the CD or flash drive, print out the games and attach the pockets or board to a file folder. 102 riddles for discovery of keywords. Perfect for multisensory letter introductions. A perfect size mirror that fits in the cup of the student’s hand. No sharp edges. Help your students learn math skills with concrete materials. 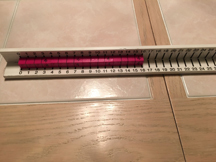 This great math tool coupled with cuisenaire rods helps students learn to add, subtract, multiply and divide. Fluency in basic math fact recall significantly increases a child’s subsequent progress with problem-solving, algebra and higher-order math concepts. 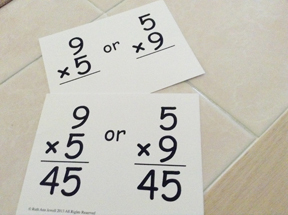 These flash cards help students understand that the answer is the same even when the numbers are reversed. One side of the card shows the fact with the answer, the other side shows the same fact without the answer.